The Graduate Program in History and Philosophy of Science, Department of Philosophy, and Reilly Center for Science, Technology, and Values, are delighted to host the sixth Models and Simulations conference (MS6) at Notre Dame. MS6 is the latest in a series of international conferences to explore philosophical issues arising from the construction and use of models and computer simulations in the natural and social sciences, after meetings in Paris, Tilburg, Charlottesville, Toronto, and Helsinki. The IEEE Symposium on 3D User Interfaces 2014 is the ninth international symposium focused on the topic of 3D User Interfaces (3D UI). It provides a unique opportunity for industrial and academic researchers to exchange about the state-of-the-art 3DUI research! 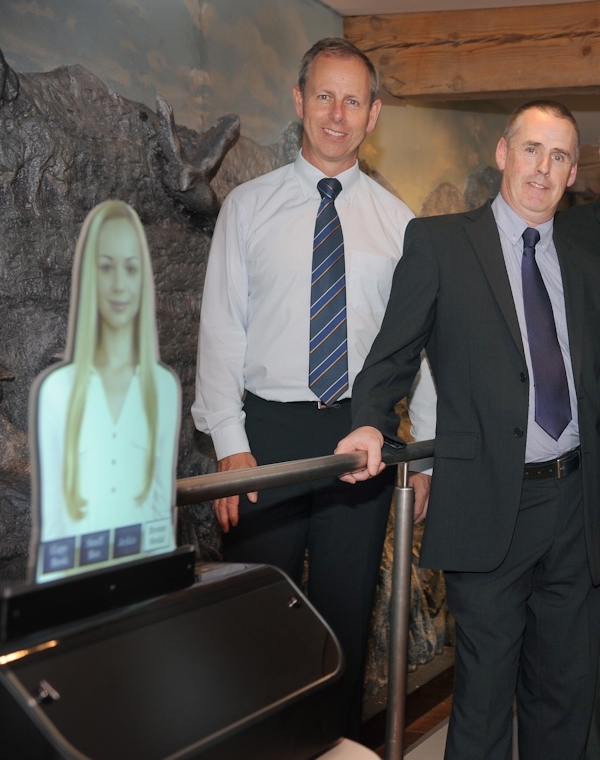 Up-to-the-minute technology and history are combining with the installation of a Casio Virtual Presenter in the County Museum, Dundalk. The joint project by the Museum, Casio and Quick Response Ireland is the first of its kind in the country and the first such installation at a European museum. Internationally, only one other such Virtual Presenter has gone into use, in Japan. The Virtual Presenter is a cutting-edge tool of Casio Signage, with the power to captivate passers-by with a realistic-looking character that talks to them from the screen. The screen itself is shaped like the character, which can be freely selected to match the characteristics needed to bring people into a given location. The character’s appearance and voice can be changed easily to keep repeat customers from losing interest. It also offers multilingual support for visitors who speak various languages, and its light source lasts approximately 20,000 hours. Mobile technologies have been used as educational tools for some years and the research area of mobile learning has emerged as field in its own right. With millions of people using mobile devices across the world both at fixed locations and on the move, it is critical to see how these can be used to support effective learning, in formal, non-formal and informal situations. Seamless learning experiences enable us to extend our learning across contexts, so that we can learn ‘on the go’ in coffee shops, at the bus stop or when waiting for a friend. Mobile devices, including smartphones, tablets, ultrabooks, e-book readers or simple mp3 players, can all be utilised as learning resources – but do we have a good understanding of how people interact with these devices to learn – and to learn what/how? Do our increasingly “connected” lives mean we have ever richer opportunities to learn and if so, how is this changing the way in which we experience “education” throughout our lives? Do we need new pedagogies to explain our increasingly mobile learning experiences? The typical Ikea experience usually goes like this: You get to the showroom, everything looks so wonderful and amazing, you pretend to live in the overly-organized fake bedroom, realize you should make a list of things to buy and… crap, now you’re not quite sure how that’ll look in your apartment. So you go home with some Swedish meatballs in your belly and a new version of the year’s annual catalog. ICMCS’14 is organized with the objective to bring together researchers, developers, and practitioners from academia and industry sectors working in all facets of multimedia, telecommunication, and computer. The conference will serve as a forum for the dissemination of state-of-the-art research, development, implementations of multimedia systems, technologies, and applications. The key objective of ICMCS’14 is to create a program that achieves a balance between theory and practice, academia and industry, systems/tools-oriented research and content creation. ICMCS’14 is an IEEE technically co-sponsored conference (under approval). All papers will be included in IEEE digital library and extended versions of selected papers will be published in special issues of international journals. Augmented reality (AR) is a mixed bag. 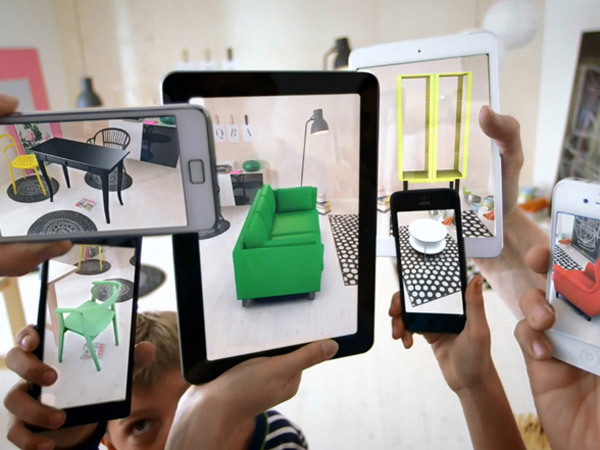 Early implementations have been gimmicky without adding much value to the experience, but when it’s done right, AR can be a wondrous experience. DAQRI is taking strides to legitimize the medium by partnering with big-name brands like Maxim and Target, and the company is charting a next step to bring AR experiences to educational toys and games. 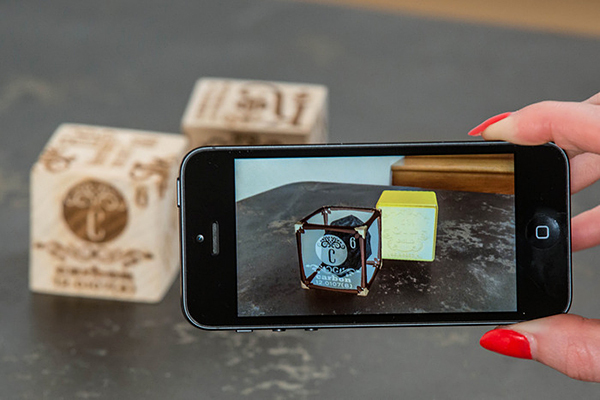 The startup tipped its hand on Wednesday with the launch of a Kickstarter campaign for a set of Elements 4D blocks that enable users to interact with virtual versions of elements. I’ve played with the blocks, and they’re a clever educational tool. Combining various blocks shows the properties of chemical reactions and their respective compounds.